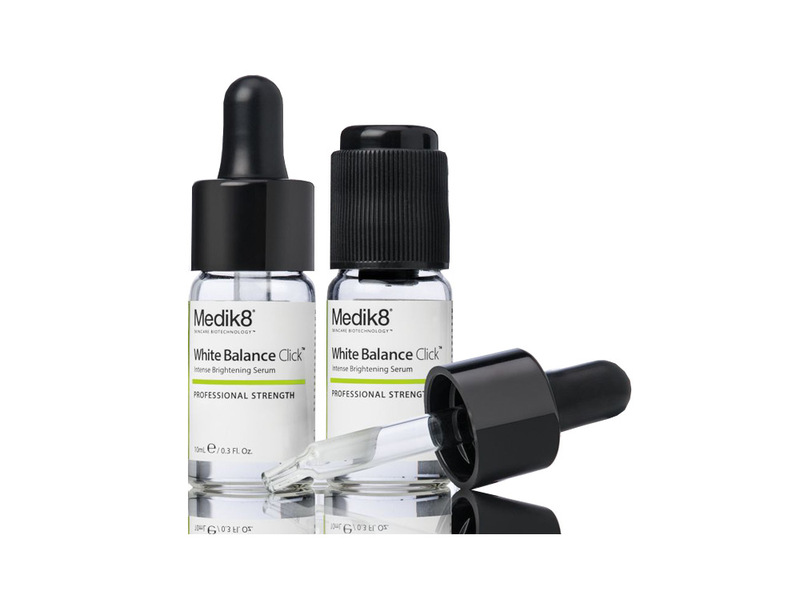 An award-winning, pioneering skincare brand, Medik8 chemical peels are specifically designed to target ageing, acne, blemishes, redness, pigmentation, a dull complexion, uneven skin tone and dryness. And here at Clear Skin Clinic we are proud to offer their whole range. Medik8 AgePeel. Contains an effective combination of acid to reduce fine lines and wrinkles, leaving the skin smooth and renewed. Medik8 BetaPeel. Swiftly brings acne under control and significantly reduces the risk of future scarring. Targeting blocked pores and inflammation, it delivers salicylic acid and azelaic acid straight into the pores to help clear them of debris. Medik8 WhitePeel. The most effective way to achieve a brighter and even skin tone, helping to eliminate dark and pigmentation spots and prevent darkening of new skin cells. Especially designed to treat sun damage. Medik8 EyePeel. Gentle yet effective solution to help tone and plump the eye area by enhancing cell regeneration. Contains mandelic acid to clear away dead skin. Can also be used for upper lip, décolletage and hands. Medik8 LightPeel. Mild treatment for lightly wrinkled skin. Great as a first peel with visible results. Jessner Peel. A level two peel designed to remove the whole of the epidermis, in cases such as skin damage, acne and deep wrinkles. It contains lactic acid to stimulate collagen production, salicylic acid to dissolve the debris that causes pores, blackheads and acne and resorcinol as an effective exfoliator. Book your chemical peel today by calling us on 01274 630006 or by email. We look forward to welcoming you at our Bradford clinic! * Results may vary from person to person. A course is recommended if you have an ongoing condition or concern. Side effects may occur.